This entry was posted on 11th February 2019 by Marci Cornett. Giveaway alert! 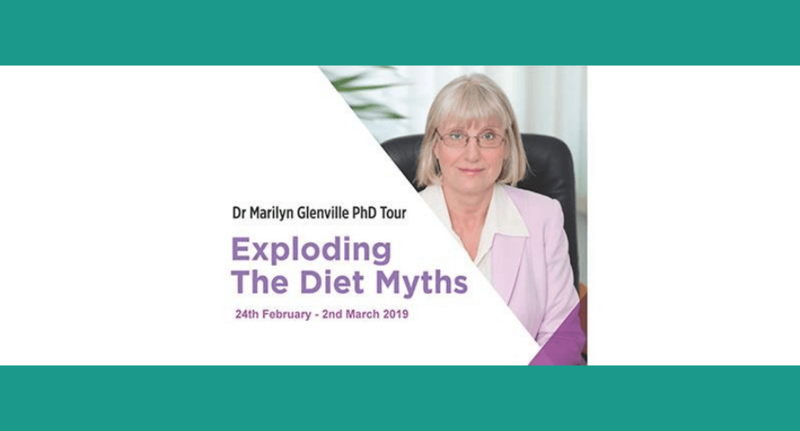 Don’t miss the chance to win a ticket to attend the talk “Exploding the Diet Myths” by renowned health expert, Dr Marilyn Glenville. We’ve got all the details for you below. Ever wonder which diet is most effective for achieving specific health goals? Ever feel frustrated because the weight isn’t dropping no matter the diet? Have no idea what the benefits are of particular diets such as Paleo, Keto, intermittent fasting, veganism, vegetarianism...or if any of them even work? If so, this event is not to be missed. All are welcome to join us for this illuminating talk by Dr Glenville which will challenge the common preconceptions about health, weight loss, food and dieting. Tickets are available for €20 each on eventbrite. She's someone adored by us at Organico! Dr Glenville has more than 30-years experience in nutritional medicine, specialising in the natural approach to female hormone problems. On 25th February, Organico will be hosting her at The Maritime Hotel in Bantry as she shares her vast knowledge about the confusing world of diets. As the UK’s leading nutritionist specialising in women’s health, Dr Glenville is the author of 13 internationally bestselling books focused on health. She is also the former President of the Food and Health Forum at the Royal Society of Medicine, a registered nutritionist, psychologist, and an international speaker and frequent guest on radio and television shows. To take part in this giveaway, simply fill in the form below by midnight on Sunday, 17th February. There will be two winners receiving one ticket each, valued at €20 each, to the event. We’ll contact the winners on Monday, 18th February to let them know their seats are reserved! Learn more about Marilyn Glenville on her website.